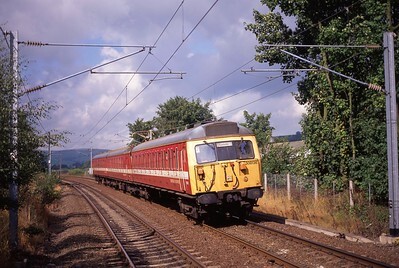 308136 approaches Steetson & Silsden Station with a Skipton - Leeds service on 04/09/97. 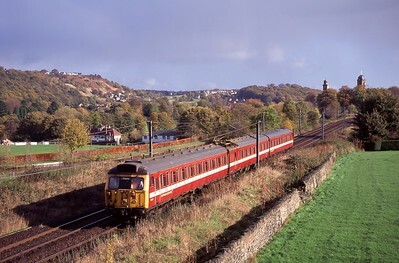 308145 passes Saltaire in the Aire Valley with the 11:31 Bradford Forster Square - Skipton . 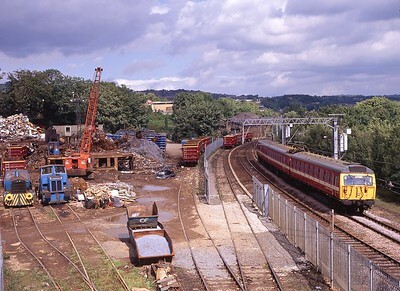 308162 passes Crossley Evans scrap yard at Shipley with a Skipton - Bradford Forster Square service on 04/09/97.